With their Eco Travel Network hats on, the Prospectors are running a trial this summer of a Boma 7 All Terrain Wheelchair designed and manufactured by Molten Rock Ltd. We are exploring whether a hiring model can work here in the Brecon Beacons National Park enabling visitors, locals and organisations to hire and make use of this versatile electric wheelchair to explore the bridleways, common land and hills in the National Park. 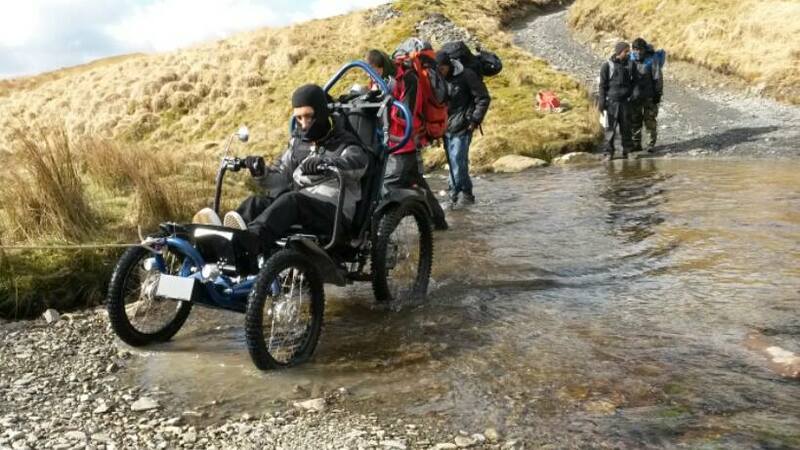 So far, Boswell-the-Boma has taken part in a Gold DofE expedition and scaled Pen-y-Fan. Not a bad start! Details of how to hire Boswell-the-Boma can be found here. This entry was posted in Uncategorized and tagged all terrain, Boma 7 wheelchair, eco travel network, prospectory, trial. Bookmark the permalink.